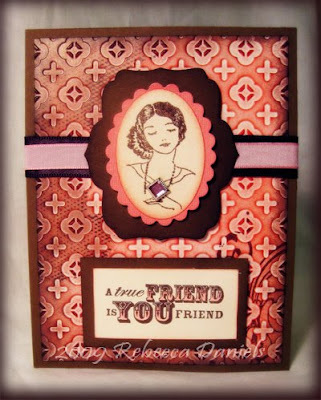 You have such a beautiful way with vintage looking cards - this is just lovely! So beautiful, I love the colors and the fantastic image. Very pretty. Love the image.